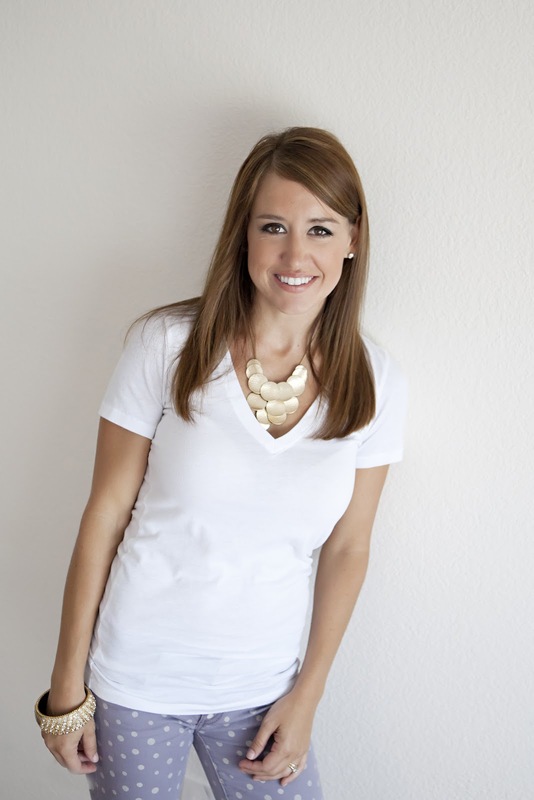 It's Samantha from Crafty Texas Girls hosting this week. Around my house we are excited FALL! The weather has gotten a bit cooler (good riddance to those 100+ temps), my girls have started cheering for our youth football team, TCU games are here, and I am brainstorming ideas for my fall decor. After looking back at a few of my projects from last year, I am pretty sure that burlap will be making a comeback in my home! And after looking at your posts from last week, I can see you are excited for September too! Everyone gets so creative this time of year. 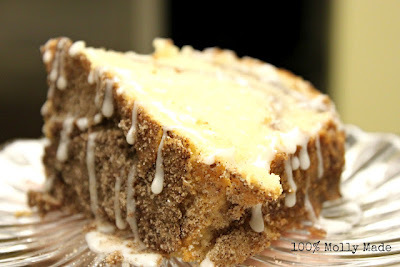 So this week, I have chosen 10 of your best ideas- a bit of fall inspiration, some beautiful home decor, and a yummy recipe too. I hope that they will inspire you to welcome fall, update your home decor and try a new crafty project this month. 1. Get a head start on your fall decor with a bit of gold. 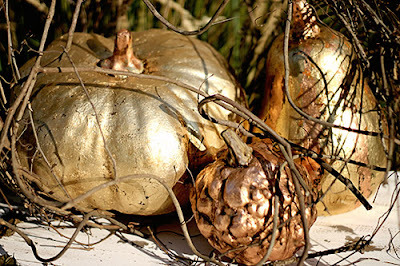 Start with this Gilded Pumpkin tutorial shared by "From Generation to Generation" . 2. 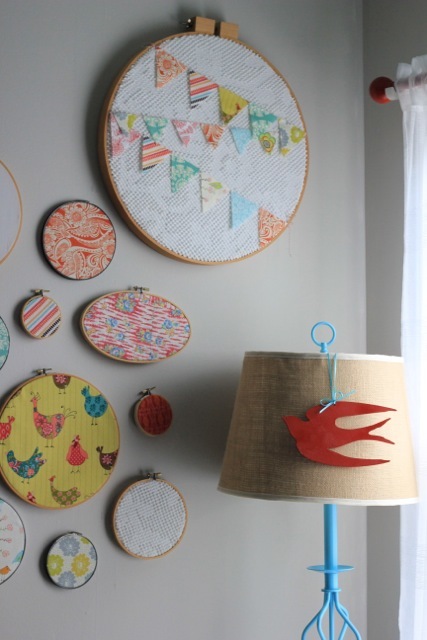 Is your laundry room/keeping space lacking some pizzazz? 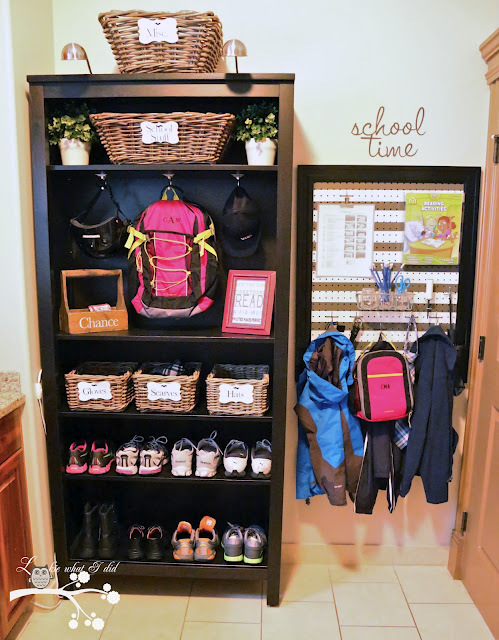 Check out this make-over from "Lookie What I Did" and find some inspiration for getting organized. 3. Experiment with a bold color. I love the warm orange wall color and black accents chosen by "Ranger 911" for her French Country Kitchen. 4. Create a new look on your shelves or mantle by shopping your home. 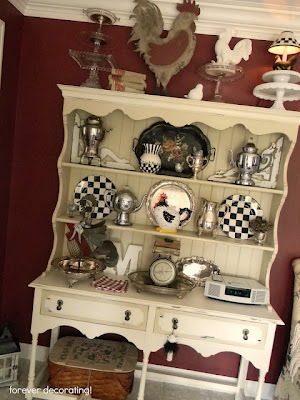 "Forever Decorating" showed off her newest 'hutch' decor and how to mix old and new. 5. 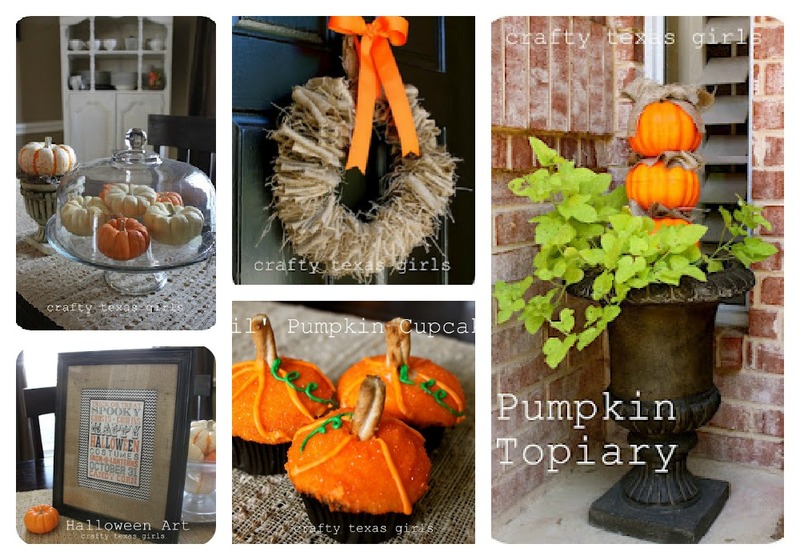 "Must Love Junk" adds a pop of orange with these sweet little pumpkins. 6. 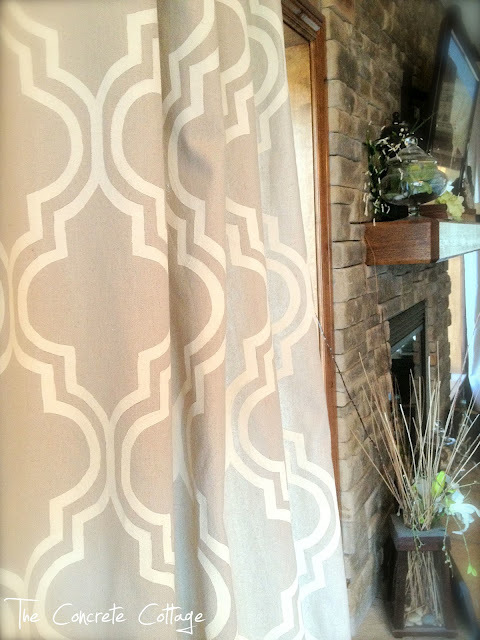 Get the look for less with these gorgeous painted curtains. The perfect way to change the feel of a room. Shared by "The Concrete Cottage". 7. Have you been thrifting lately? "Daisy Mae Belle" knows how and her room reveal will inspire you to look twice the next time you are at a garage sale or Goodwill. 8. 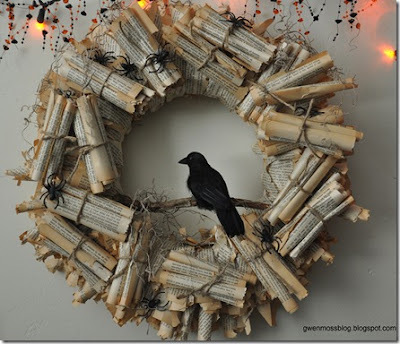 "Gwen Moss" wrote an interesting post about what fun Halloween decor you can find at the Dollar Store now. Stock up early, you won't believe what you can find for $1. 9. Invite over a few friends and enjoy this yummy cake with a Pumpkin Spiced Latte. The perfect fall treat. Shared by "100% Molly Made". 10. And finally, "Craftberry Bush" has given me wreath envy! 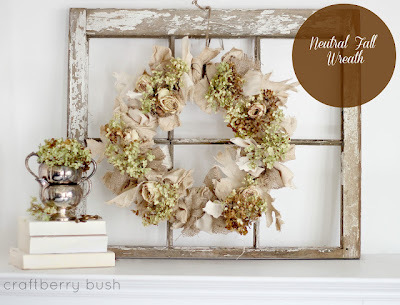 I love the look of hydrangeas and burlap. Challenge yourself to craft a beautiful fall wreath this month. I finally have a chance to sit down at the computer and I'm thrilled to see you've chosen my kitchen as one of this week's features!!! Thank you so much, Samantha, for co-hosting your fun party each week. It's a great source of inspiration for me!